Shave and A Haircut......Two Bones? Here I am with my brother Angus..........he was waiting' for me at the door when I got back......worried him silly, being gone that long! "Hey Becky, I think Ma might be taking you for a walk with your new haircut and your new harness!" "No way............I'm gonna go hide in the garden G-dog.....tell Ma I took a powder......wait I already did that at the groomer!" "Gee Ma, I dunno.......try looking for her in the backyard!" "Oh hi Ma.....did I tell ya how much I love ya today......no?" "Whew.....worked like a charm....maybe now I can have a little peace and quiet before din din!I gotta tell you all that new harness does not meet with my zeal of approval! My trainer told her it would spin me around when I pull too much....you ever try dragging your Ma down the road with one of them things? Humph...takes the fun out of watching her trip over her own paws.....I mean feet..BOL!!!" "Ma and Pa took me to the very first annual Dog Fest in Brick, N.J. today...they said it was a fundraiser for the Rotary Club...I didn't know that they had a club for people who like to go around in circles! .... hey lady,all I wanna know is where are the free treats????" Uh-oh..my dog trainer Gina just spotted me......I AM walking nice, I swear Gina...!!! Now my lil' pal here really made the best of a bad situation....what a trooper! Don't ya love that cap? Kudos to your mom for helping you go the extra mile! OK now which way to the goodie table? DEEEEEEEEEEEEEElicouz indeed!Hey can we get a doggie bag to go for my brother G-dog? Lemme in that water will ya? Hey did you double dog dare me to take a leap in that cold water? Aawwwwwwwwww OK Ma, I'm commin'...me and Pa had enough anyway...hope you all enjoyed our day out!AAAAAAAARRRRRRRRRR....what Ma?OOPS I almost forgot..take a minute or two and visit with all the great people who are featuring Pedigree on their blogs this weekend...every dog that will advertise on their blog gets a free bag.....what Ma? 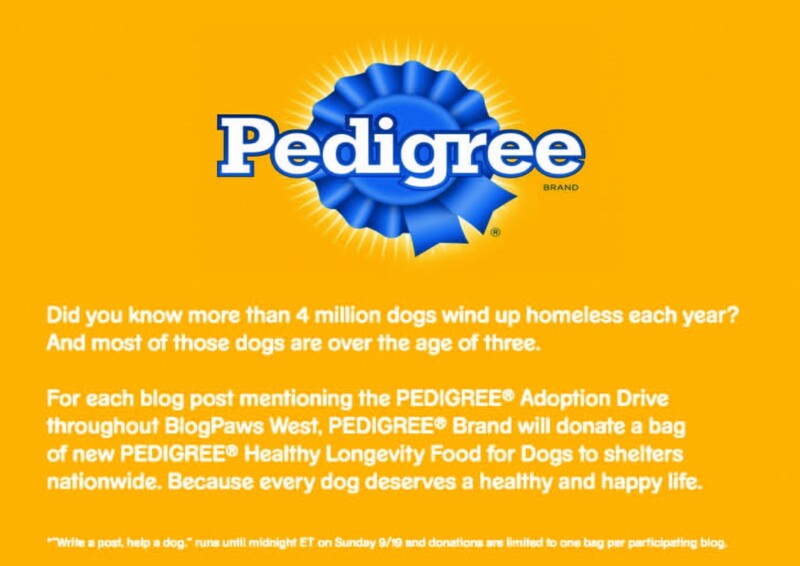 Pedigree will donate a 20 lb. bag to a doggie shelter...what a great bunch of people there!TY Nigel for giving everyone a chance to make a difference!